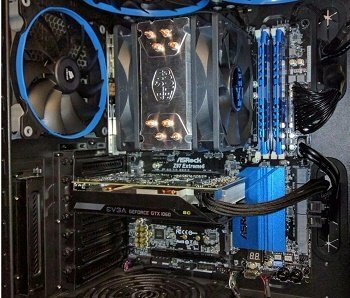 Looking for the best components and hardware available for your budget? Here’s a guide, with 10 suggested PC builds from $150 to $1,000. The awesome and sometimes overwhelming thing about building your own gaming PC is that there’s always room to upgrade. Another $50 and you can get a better graphics card, case, or processor. The cycle never ends. To avoid overspending we suggest you set a budget and build your own computer to get the most out of your hard-earned money. 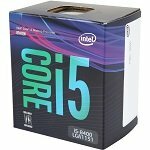 Why is building your own computer the best option? It allows you to put together the parts you actually need while avoiding cheap options and preparing an upgrade path for later on. Skip to the build you’re looking for. Below, We’ll take you through 9 optimized PC builds at various price levels: $150, $200, $300, $400, $500, $600, $700, $800, $900, and finally $1,000. We’ll use the parts that make sense to the most people at each price point. However, you’ll want to adjust these builds according to your own personal needs. $1,000 might not seem affordable to some, but compared to many pre-built options, this is a good value overall. For this $1,000 PC, we’re focusing on quality parts. This includes a tier 1 gold certified power supply, a good mid-range motherboard, and a high-end CPU and GPU combo that will play today’s AAA titles in 1440p. Of course, you could save some money and try to force the highest-end graphics card into a build like this. Going with a motherboard that has fewer features and a cheaper power supply could save a few hundred dollars. We suggest you don’t do that. You want this gaming computer to last a long time. And if you skimp on these parts, it simply won’t do that. On the other hand, if you do it right, you can safely drop a new graphics card into it every few years and maintain a high level of performance. As having additional threads may be important for gaming in the next few years, you can always upgrade with an i7 or R7 and overclock it when necessary. Additional capacity wouldn’t cost that much more here. Going from a 1TB hard drive to a 2TB is often no more than $15. This is worthwhile to those of you who have an unending Steam game library or movie collection. *GPU Prices aren’t consistent with MSRP at this point in time. Some patience may be required to build this PC along with a GTX 1060 6GB for this price. Looking for something to support the latest AAA titles and the Oculus Rift? Here’s a PC that does both for right around $700. In spite of our budget cuts, we’ve maintained a high performance by going with a less expensive i5, motherboard, and power supply. 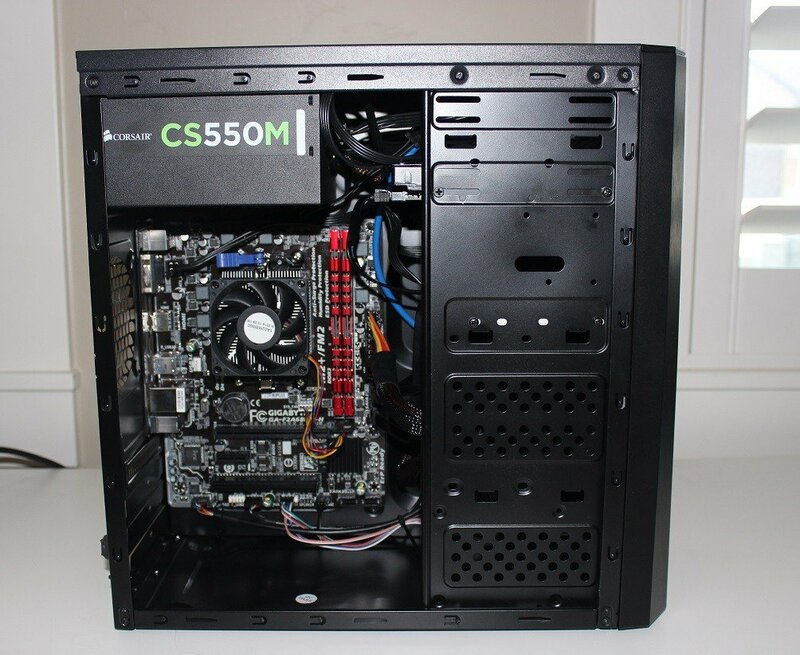 The build itself is compact and lightweight using a micro ATX case and motherboard. Even though our build is quite a bit smaller, it still has plenty of room for a full-sized graphics card. At around $250, we’re dedicating over 36% of our total budget to our video card. We’re doing this to not only improve our overall gaming experience but also give us the power we need for the Oculus Rift. The HTC Vive and Oculus Rift both recommend a GTX 970 or R9 390 graphics card or i5-4590 or better processor. As this build uses a better processor and graphics card you should be good to go. This doesn’t mean that this GPU will last forever. Rather, that it supports it right now. However, if you need to upgrade in the future, you can always replace the graphics card with something better. Other requirements include 4GB Ram for the Vive, 8GB for the Oculus Rift, and Windows 7 or newer. Overall, this is a performance-first gaming PC fit for VR or gaming in ultra at a 1080p resolution. Considering this custom PC only costs $700 to $800, its performance is better than what you’ll find from any pre-built machine in its price range. If you want to strictly stay at the $700 range, an RX 470 rather than the GTX 1060 here would save you around $80. As we continue to go down our list we continue to cut the budget. Fortunately, for our $500 budget PC build, affordability here doesn’t mean an inability to play today’s latest games. We’re combining an Intel Core i3-8100 and a GTX 1050Ti to give you a machine that’s capable of high settings in 1080p. The i3 is a solid choice here with our graphics card. While I would have hesitated to put it with our $800 build, here it’s the best value play we can make. 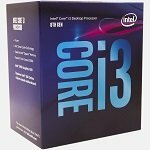 The i3 has 2 cores and Intel’s hyper-threading technology. The 4 threads, along with fast single core performance, are extremely useful in modern titles. This translates into a super responsive everyday experience. What’s more is that we don’t need a lot more than this for the graphics card we’ve chosen. 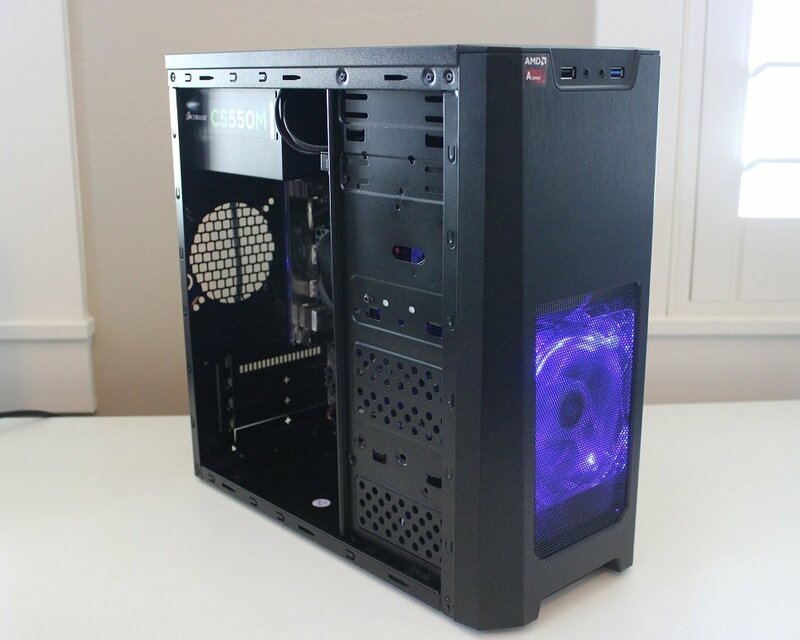 Overall this gaming PC is not only very affordable, it’s also energy efficient and cool. You shouldn’t need additional fans beyond what the case comes with. And you’ll have even more room for expansion in the future. We’re doing whatever it takes to stay with an i3 or Ryzen R3 for our $400 to $450 gaming rig. In our article, we compared this build to an Xbox One X and a PS4 Pro. We found it someone underperforming vs these newer consoles. Still, we’re keeping with what works. Good quality parts available at a cheap price. We’re also taking advantage of as many rebates as possible. The only cut that will actually decrease our level of FPS here is with our graphics card. The drop from our two previous graphics card to one that costs around $100 is admittedly a big hit. Spending another $30 or even $60 may be well worth it here. If you’ve got the extra budget get the 1050Ti or RX 470. However, if you don’t have to play AAA titles on ultra settings, don’t have the cash, or simply don’t need the extra performance, there’s a lot to like about the GTX 1050 here. It gives you a high performance to dollar ratio and is quite energy efficient as well. At $350 we may be limited by our budget, but we’re still able to afford a dedicated graphics card and processor. 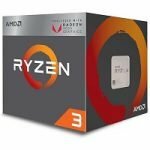 The best processor to get here is probably the new Ryzen 3 2200G. It’s an APU and thus performs very well with its integrated graphics. With a GPU market that has been all over the place this year, this is the perfect option as a placeholder for a future graphics card. We can only afford a standard hard drive here. However, some may prefer to continue with the solid state drive. It’s certainly something that will give you faster load times. However, we’re able to save some money here and come out with additional capacity. Something we had to do to stay within our cheap $350 budget. Yet, there’s something satisfying about building a PC at this price point can be turned into a $600 to $700 PC simply by adding a graphics card. You’ll still be able to play AAA titles by lowering settings and have the same storied experiences that other gamers do. Any gamer that’s been around a few years knows that being able to play the games they want to is the priority. Everything else is just eye candy. We all remember adjusting the resolution, graphical settings, and doing whatever we could just to keep our PC running for a few more months or years longer. For those new to PC gaming, this inexpensive rig gets them there. No, this machine won’t be able to play AAA titles like Battlefield 1 in 1080p on ultra settings. However, it can play it in 720p. That being said games like CS:GO, WoW, Minecraft, Hearthstone, LOL, Dota 2, and Diablo 3 all look great on it in 1080p. So, if you’re willing to really tweak settings on the AAA games, and play a lot of popular online games, you’ll be more than satisfied with this build. Sure, you could build a computer with old or used parts here and maybe come up with a dedicated CPU and GPU combination that would beat it in terms of performance. However, this is a new machine with a warranty and even an upgrade path. That alone will be more appealing to many. Before I get into this next build I want to mention that I’ve actually built a machine almost exactly like this one. So, I have a very good idea of the type of performance you’ll get out of it. There will be naysayers out there that say that a $200 Gaming PC isn’t worth building. However, I’d say to them that if it allows you to play the games you want to play, then why not? A lot of today’s most popular games don’t require that much graphical performance to be played. In fact, many games function just fine on integrated graphics alone. Using AMD’s APU we get far better than the average integrated graphics. This allows us to play most of today’s most popular online games. If you go with an APU, you’ll want to use a dual ram memory configuration. This gives you a massive boost in games. Going with a 1x4gb option might seem cheaper, but it’s not worth it. In fact, if you can stretch, you’ll be even better off with a 2x4GB configuration here. In terms of everyday performance, this machine is great. I added a solid state drive with it and it loads up in around 10 seconds. Browsing, as well as most programs, feel just as fast as they do on my i7. Now here’s something unheard of. For those of you who are extreme penny pinchers. I was actually able to build this machine for around $150. Yes, $150. I waited until the power supply was on rebate for $20, the case went on sale for $19.99, the hard drive for $15, and the motherboard was on rebate for $34.99. Everything was cheaper. Most of this was during the month of December when the best PC deals are generally available. So, if a few dollars are going to make or break your decision one way or the other, keep that in mind. Otherwise, expect to pay more like $195 for this machine. If you don’t want to use the parts I’ve listed above or want to modify one of the builds to more specifically meet your needs, I totally understand. Only you can understand exactly what you’re trying to get out of your gaming computer. So, here’s a guide for helping you to pick the best components for your setup. A few years ago I would have said that a four-core processor was enough for any gaming PC. Today that’s not the case. I’ve seen these bottleneck higher-end graphics cards during today’s AAA games in 1080p. 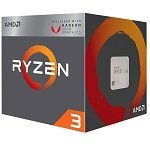 Luckily, Ryzen has pushed the envelope enough that we’re seeing fore cores in even Intel’s budget i3 processors. Speaking of 1080p, it’s actually more demanding for your processor than 1440p and 4k. Why, you might ask? Because the higher the resolution, the more demanding it is on your graphics card and less likely it is that the bottleneck will first be caused by your processor. In other words, your i5 might be bottlenecking your GTX 1080 in 1080p; however, it’s probably perfectly adequate in 1080p. This is because as you increase the resolution, the amount of frames your GPU can handle at that resolution will decrease. This means that your CPU has less to deal with. Ultimately, the resolution you’ll be playing at and the graphics card you want to purchase will determine the type of CPU you need. Want to know the best processor for your budget? Here’s a look at the processors we feel give you the best performance for the money you pay. This list is updated regularly. You can also take a look at our full analysis on the best processors for gaming. If the processor is like the brain of your system, the motherboard is like the nervous system and spinal chord. It connects all of your components together and helps to transfer messages between them. That being said, it’s the number one place that builders overspend on their systems. This is because a majority of the “extra” features that they pay for, simply go unused. So, purchase a motherboard based on the other components of your system and any future upgrade plans. For compatibility, you’ll need to choose a motherboard that works with your processor. This is not as complicated as it sounds. Every processor has a number of pins that should at least fit, if not match, the metal contacts in the plastic socket on the motherboard. 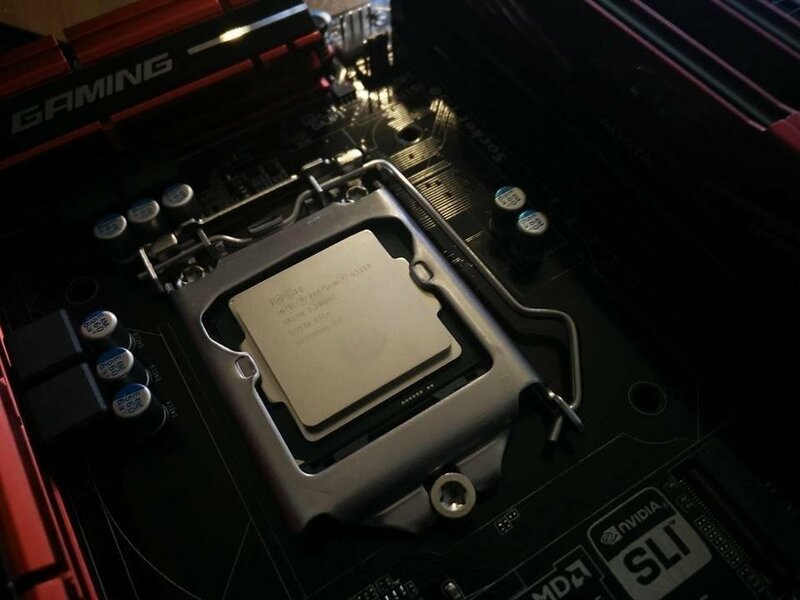 If the processor’s pins don’t fit into the motherboard’s socket, it’s not compatible. While that’s a very basic overview, it should give you the understanding you need. Clearly, you wouldn’t purchase a processor and motherboard and line up the pins to see if it works. So, to further help you find a compatible motherboard, here’s a list of current sockets with their corresponding lines of processors. Manufacturers typically list the socket number on the product page of both the motherboard and the processor. If you plan on overclocking, you’ll also need to choose a chipset that’s made for doing so. Most recently, the Z170 chipset is the one you’ll want to use with Skylake and Kaby Lake-based processors. Going above the $150 price point, the amount of additional overclock you may receive is minimal. So, if you’re spending the big bucks just to overclock keep that in mind. That is, unless you’re trying to break world records. Choosing the right graphics card is the fun part for any gamer. It’s all about matching up your budget, the CPU you can afford, and analyzing the types of games you play to see how much you want to spend. If you’re simply trying to play a game like WoW or Minecraft at a high level, clearly you’re not going to need a $600 graphics card. So, you’ll want to look at benchmarks at the resolution you want to play with to ensure you get something that matches up. You’ll also want to avoid purchasing a graphics card that will bottleneck the CPU your purchase. For example, there’s not a reason to put the GTX 1070 with an i3 as it’s likely the GTX 1060 would do nearly a good of a job with that CPU. For our PC builds, including those above, we typically take all of this into account. So, go with a combination similar to what you see above and it shouldn’t be an issue. Here’s a look at the graphics cards we feel give you the best value for the money you pay right now. This list will be updated regularly. The tried and true answer to this is 8GB. Benchmarks comparing multiple games at various resolutions confirm this. I prefer a dual configuration for many reasons. So typically, if I’m going to go with just 8GB, I go with something 4×2. Of course, you can always go for a 16GB configuration. If you need it for editing or want to make sure you’re good to go for the future. It’s likely to save you some money in the long-run. That being said, for now, you’re still good with 8GB. Will it fit? That’s the main question that gamers ask themselves about a particular case. This question leads to several others. The main issues for space in your case include the CPU Cooler, graphics card, and the motherboard. Motherboards come in a variety of sizes. The most popular, in order of size, are mini ITX, micro ATX, and ATX. For the most part, a mini ITX motherboard will fit into any mini itx case and larger. Micro ATX, or mATX as you may see it, mostly fits into any micro ATX case and larger. Standard ATX motherboards only fit into standard ATX cases, full towers, or larger. As far as the graphics card is concerned, you can typically find the measurements for any graphics card on the manufacturer’s website. 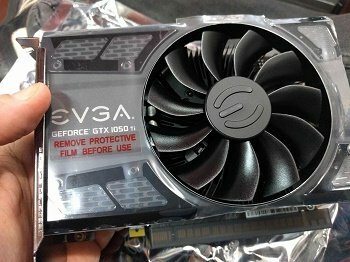 As far as the case is concerned, how big of a graphics card it can house is also typically listed on the manufacturer’s website. Additional brackets and internals for the case may be required for certain setups to work. In terms of value, I’m not going to put a list here. Why? Because when it comes to cases, I like to chase rebates. Go with something reliable that others have rated well and happens to be on rebate. How Much Should I Spend on My Power Supply? As your power supply will be supplying power to all of your expensive components, the price you spend on it should depend on how much your components cost. Regardless of the cost, I recommend you go with something that’s at least 80 PLUS Certified for efficiency. An efficient power supply not only saves money on your energy every month, it also dissipates less heat. This leads to cooler internals which should lead to increased longevity. Of course, not all 80 Plus certified power supplies are made equal. Some use cheap capacitors while others use those which will last a long time. For more information here’s a look at the best power supplies for the money you spend. That list rates power supplies according to tiers, with tier 1 being the highest. In terms of how much power you need, you can use a power supply calculator to determine the rest or plug your list into a site like PCpartpicker to get the max output. Both Cooler Master and Outervision have one that will do the job. From there, decide if you plan to upgrade your computer in the future. Plug all the components you’d like to eventually get into the calculator and work based on that number rather than your original one. Do Solid State Drives Improve Gaming Performance? The obvious answer to this is no. The more practical answer is kind of. While a solid state drive won’t directly increase the number of frames you can get into a particular game, it will decrease your overall load time. This gets you into the game sooner. I notice a huge difference when I’m playing a game like Battlefield 1. The solid state drive, in this instance, gets met into the multiplayer map sooner than my opponents. This means I have first pick of the best vehicles available. In terms of which solid state drive you should get, I’m a fan of going with capacity here. Go with something cheap and of decent quality and it should last you a long time. Even for budget builds I like to install at least a 120GB solid state drive for overall performance improvements during regular usage. What Type of Hard Drive Should I Choose? While some lower RPM hard drives are more energy efficient, go with something that has 7200RPM and preferably 64MB cache. Like with the solid state drive the faster performance won’t increase your FPS; however, it will improve load times. Do I need an Optical Drive in order to Install Windows? The answer to this is no. You can use a USB flash drive to do it. As all of the games I purchase are digital, I typically no longer purchase an optical drive. If you feel more comfortable having one or want to watch Blu-Rays on your PC, go ahead and purchase one here. Overall, the PC you build should be something that fits your needs. While we recommend certain parts that doesn’t mean there isn’t ever anything better out there. If you find something better, we’d love to hear about it in the comment section below. Also, we’d like to know what type of build or budget that you, the reader, has. Please be sure to vote in our poll section below so that we know how to better meet your needs. Hello, I’m interested in playing LOL with max settings and looking to get a minimum 60 FPS. 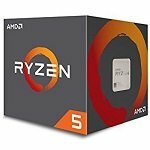 Would the $600 build be able to do such? Thank you in advance, I hope to get a response, since I am having withdrawls. My PC simply can’t run the game at all at the moment. Thank you so much for the response! 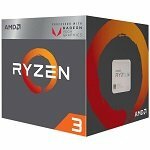 Due to my inexperience at building computers I have just one last question. The Gtx 1060 or the 580 will fit with the components in the $600 build? Basicallytrying not to exceed $700 but get “best bang for the buck”. Thanks again! !